If you have not yet heard of Daiya pizza, you are missing out a lot, especially the opportunity to have a taste of this yummy treat. 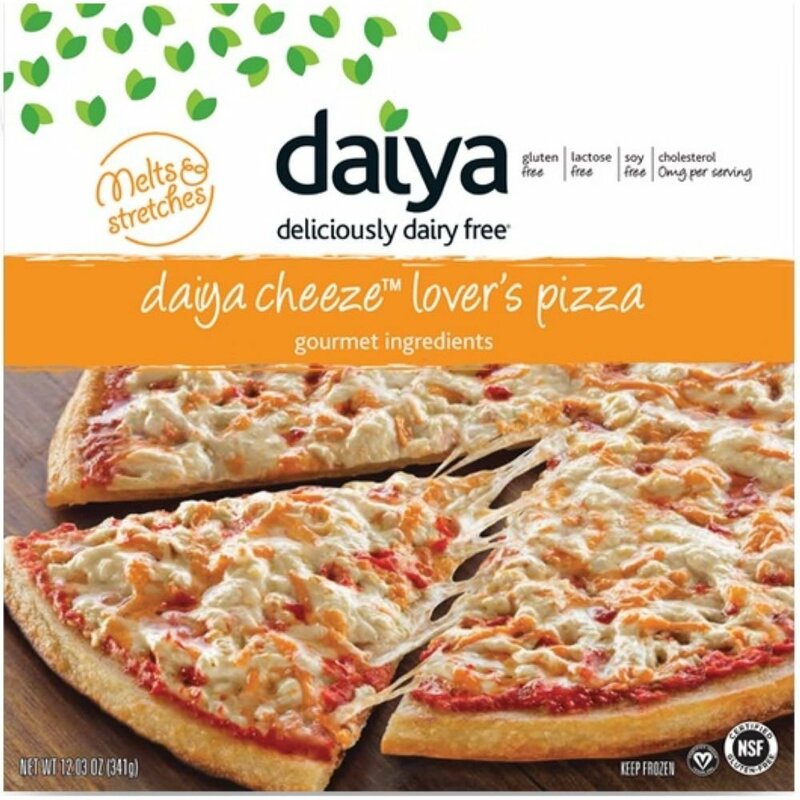 Daiya is a company known for dairy-free products, and a few years after commencing their operations, they introduced a line of mouthwatering pizzas. ​In the rest of this post, we will list down some of the best pizza variants from Daiya. Regardless of which one you choose, there is one thing that is definite – you will have a filling treat and your appetite will thank you for it! The best thing is that while they are delish, you can enjoy them without the guilt since they use healthy﻿ and plant-based ingredients. At Daiya, you can enjoy pizzas made from plant-based ingredients, which are not only delectable but also good for your﻿ health. If you are clueless on what to pick, here are the options that you may want to consider. These pizzas are mouthwatering and guiltless! When you talk about pizza, pepperoni is one of the first things that come to mind. Its main ingredient is pepperoni, which is the American version of salami. According to the New York Times, pepperoni is Americas favorite pizza topping. While most pepperoni pizzas use cheap meat, this is not the case with this Daiya pizza. Sure, its flavor is pepperoni, but this is perfect for people who have gotten rid of meat in their diet. It is plant-based and meatless, yet your taste buds will recognize the familiar ﻿﻿taste﻿ of pepperoni. For those who prefer their pizza to be simple but delicious, having it topped with gooey cheese is preferred. Cheese is a potent source of calcium, making it healthy. But for people who are on a dairy-free diet, this is one thing that they get rid of. The good news is that there are healthier alternatives. Daiya was able to solve this problem. Because of their inventiveness, the company was able to come up with their own version of cheese pizza. It is still gooey and yummy, but the difference is they use cheese shreds that are dairy-free. Aside from the toppings, it is also delicious because of the gluten-free crust, which is guaranteed to be crispy once it is heated. It is also covered with zesty tomato sauce to provide a slight contrast to the flavor of the cheese. Craving for a pizza but don’t want to ruin your diet? This is the right Daiya pizza for you. It uses spinach and mushrooms as the main ingredients, which are tasty and healthy. Spinach is low in fat and contains a number of beneficial minerals, like niacin, zinc, fiber, and protein. Aside from the spinach and mushroom, this pizza is tasty because of its white and creamy sauce, which is a perfect alternative to the traditional tomato-based pizzas. It also has a gluten-free crust, which will make you feel full without the guilt. Why is this a healthy pizza? Well, aside from containing plant-based ingredients that are loaded with beneficial vitamins and minerals, it contains 0-gram trans-fat and 0-gram cholesterol. Each serving, meanwhile, contains only 340 calories. Enjoying a delicious pizza does not mean that you need to go on a cheat day. More so, healthy eating does not need to be boring and bland. This pizza is an example of this. It is flavorful, yet it is healthy as it is free from dairy and gluten. Supreme Pizza from Daiya stays true to its name. It is the ultimate treat for anyone who is looking for a satisfying treat. It uses meatless sausage from Beyond Meat. To make it taste even better, it is complemented with onions and peppers. This pizza is topped with Mozzarella Style Shreds, made exclusively by Daiya. Yes, it tastes like authentic cheese, but the difference is in its contents. It does not contain dairy. It is purely plant-based. With this, there is no wonder why this pizza does not contain cholesterol and trans-fat. It is seldom that you can find a pizza that is loaded with vegetables. There are many, but the problem is that they taste bland and often added artificial flavorings to enhance the taste. This is not the case with Daiya’s Fire-Roasted Vegetable. This Daiya pizza is a delight for vegetarians. It includes bell peppers, tomato, garlic, basil red onion, and tomato. To make it even more flavorful, it also has the company’s popular Mozzarella Style Shreds. Like the other pizzas that are made by Daiya, this is free from any form of allergen. It also does not contain any antibiotics of artificial flavorings. They are transparent and provide information that you need to know, making you aware of what gets into your body. Mushroom is known as a good source of selenium, niacin, phosphorus and potassium. Some, however, do not like the way it tastes. To make its taste﻿ better, this pizza is combined with roasted garlic, which created a perfectly balanced flavor. Pizza is never complete without delicious cheese that melts on the top once it is heated. This pizza has Mozzarella and Cheddar cheese, but this is different from those that you can find in other pizzas. This is basically because it is gluten and dairy-free. Are you health-conscious? This will surely make a good choice for a pizza! It contains zero trans-fat and cholesterol. Best of all, it is made using plant-based ingredients. It also contains dietary fiber, protein, Vitamin A, iron, and calcium. Healthy eating can be a struggle because of the limited choices when it comes to what you can eat. Many people think that healthy food is tantamount into a bland taste, which is why many would prefer those that are laden with artificial flavorings. With Daiya pizza, it is a different story. The company is known for making mouthwatering pizzas that are delicious, but they use plant-based ingredients. They are free from soy, gluten, dairy, and other allergens. It is the healthy alternative! Did you enjoy reading this post? Have you tried pizzas from Daiya before? How was it? Feel free to leave a comment below and let other readers know.